Timber Creek Retrievers offers professional retriever and obedience training services along with top-quality AKC / UKC Labrador Retriever puppies for sale in Cleveland, TN. We strive to help your dog – and you – develop to be the best team you can be. Each dog’s individual training program is tailored to fit his or her unique abilities and your unique requests. 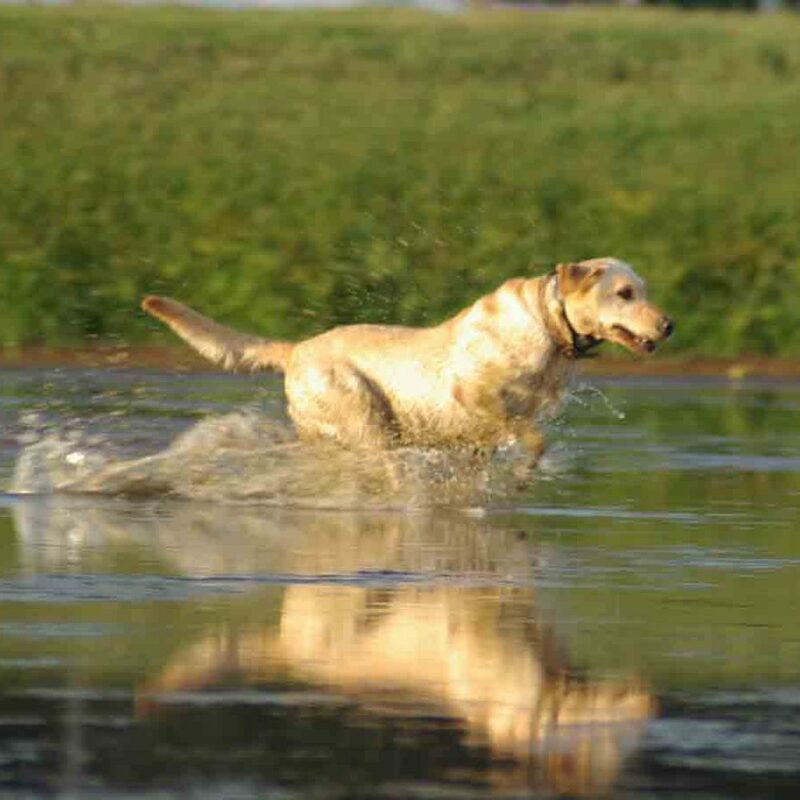 We offer everything from obedience courses for the non-hunters through field-trial level training for advanced retrievers. Check the Obedience page for details on obedience programs. Check our Puppies page for info on upcoming litters or tips for checking health on Labrador Retriever pups. Want a finely-tuned retriever or obedient pet? If so, Our Retriever training program is for you. Our approach is simple – we treat each dog as if they were our own. We use modern training methods to advance your dog as quickly as possible. In our decades of experience, we have become very efficient at developing dogs quickly with very little stress on them. We don’t keep large volumes of dogs in training. This allows us to spend more time with each one and know their individual traits better. As a result, they get home faster and save you money, in addition to being more effective. It is our mission to develop your dog to the best of his or her ability – as we would want to be done with our own. Owners are welcome to visit and participate. We’ll teach you anything you want to learn how to do. Having a great hunting companion (or family pet) is a team sport. Owners are half of the team. We make sure that you know what you need to succeed at home. Check the Retriever Training page for details on field programs. In today’s world, our lives are more connected, hectic…and complicated than ever before. For at least one part of life, let us help you simplify. For every part of the process, we can help with making things easy from the very beginning. From picking the right breed to picking the right pup in the litter, we have a few easy steps to make the process as uncomplicated as possible. After getting a pup, our Puppy School gets everything off to a good start. For on-site training, we handle everything…just get the dog to us. Our programs and commands are simplified as much as possible to make the process effortless on your part. We do the hard work. We’ll make sure y’all go home working well as a team. Afterward, we’re always around for any questions or help you need. When you’re gone, we can help with boarding. With us as a partner, at least the canine world is one less thing to have to worry about! Simple solutions for all things dog. Please give us a call or email to discuss options and details. We’ll be glad to help you however we can.